Yesterday we have mentioned about Free 1 Year BitDefender Antivirus 2009 Genuine License, now there is another great deal which you could get up to 360 days free subscription period for Norton Antivirus 2009. In order to gain bigger market share against competitors such as Kaspersky, ESET, BitDefender, ZoneAlarm and etc, Norton Antivirus 2009 has been released with lots of improved features. For instance, faster of scanning speed, installation time being reduced to average of one minute with small memory foot print of less than 8 MB, up-to-minutes protection with rapid pulse update every 5 to 15 minutes, prevent bots from taking control of your PC, recovery tool boots and repairs badly infected PC, automatically schedules scans and updates while PC is idle, movies and games are never interrupted in silent mode and much more. If you are Norton Antivirus lover or would like to switch from other antivirus due to certain reason, now you can get it for 360 days without the need to pay any single cent. 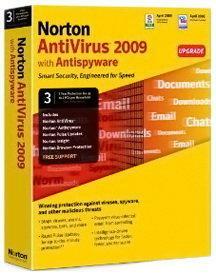 The price of Norton Antivirus 2009 is $39.99 for 1 year protection per PC. There are total of 3 OEM versions of Norton Antivirus 2009 which are free for subscription with up to 90, 90 and 180 days respectively. To enjoy for 360 days free of subscription, you can install the first package which is last for 90 days before it expires. Once after expiration, just install the second package which will also provide additional 90 days free subscription period. Finally install the third package which provides another round of 180 days free subscription period. One thing to note here is that the third package is in German language whereas the other 2 packages are in English language. The good thing about OEM version is you will not be requested to enter any activation code in order to use any one of them. What you need to do is just to download and install it, then sign up for Norton account for securely manage information and subscription online.